The Jazz Foundation of America's inaugural auction benefit to be held on November 16 at the B.B. King Blues Club and Grill in New York City will not only feature an exclusive range of items but also dinner and special performances by artists such as Hank Jones. 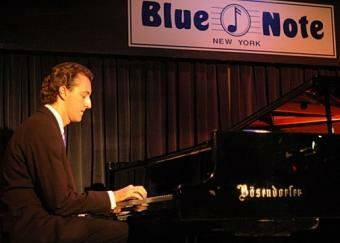 Gerhard Feldmann's Bösendorfer New York partners with the JFA with a donation of the legendary "Blue Note" Bösendorfer. In addition to the Bösendorfer Half Concert Grand Model 225, JFA will auction off Remo Palmieri's custom-designed guitar, Frank Foster's gold-plated tenor sax, Miles Davis's boa constrictor leather jacket, Freddie Hubbard's horn, and a stay at Palais Schaumburg in Salzburg, Austria. Never before opened to the public, the 14th century palace is the home of benefit committee member H.S.H. Prince Max of Schaumburg-Lippe of Austria - the country of origin of the very Bösendorfer that is the centerpiece of this special event. Auction proceeds will support JFA non-profit programs, especially working gigs and educational programs for victims of hurricane Katrina in New Orleans and the Gulf Coast. Commenting on Bösendorfer New York's contribution, Executive Vice President Lisa L. Feldmann stated, "We are proud to help by donating this special instrument, both as a natural reaction to this terrible tragedy, but also as part of Bösendorfer's longstanding tradition of supporting musicians in every kind of circumstance throughout history. Understanding the legacy implicit in the 'Blue Note' piano, we are convinced it will contribute to the success of the JFA Inaugural auction." The Bösendorfer Half Concert Grand Model 225's exceptional dynamic range results from its unique design and construction. Its four additional sub-bass keys extend the bass range of the piano to bottom F providing a larger soundboard for incomparable volume. This feature is exclusive to Bösendorfer. Founded by Dr. Billy Taylor, Herbert Storfer, Phoebe Jacobs and Ann Ruckert in 1989, the Jazz Foundation of America provides emergency assistance and long-term support to veteran jazz and blues musicians in financial, health, career and personal crisis; and creates employment through cultural and educational programs that promote jazz awareness and appreciation. Led by Executive Director, Wendy Oxenhorn and E*TRADE Financial President, Jarrett Lilien, JFA assisted nearly 500 emergency cases in 2004, preventing homelessness, eviction and hunger for hundreds of elderly musicians. JFA also provided free medical and dental care, counseling and legal services and created over 400 jobs last year. Gerhard Feldmann's Bösendorfer New York is the first exclusive Bösendorfer piano showroom outside of Vienna, Austria, where the famous piano manufacturer was founded in 1828. Feldmann is a concert technician of international renown and a Bösendorfer piano maker by training whose deep involvement with pianos spans now more than 33 years.